Tata Sky's new service allows subscribers to pay by the day. With bite size usage, TataSky aims to deliver convenience and value for money to its subscribers. 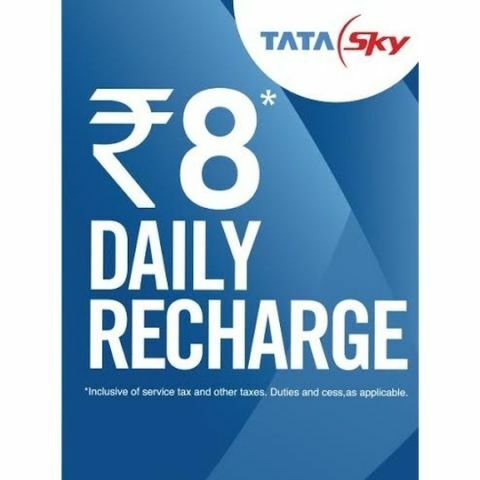 Tata Sky has introduced its first ever ‘Daily Recharge,’ voucher empowering subscribers to pay only for the days they watched TV. The service allows a minimum recharge value starting at Rs.8/-, making it the smallest denomination of recharge voucher in the television viewing sector globally. "With the understanding that there is a demand in smaller towns and villages for bite sized consumption (much like shampoo sachets and small sized mobile recharges), the ‘Daily Recharge’ card enables Tata Sky to make inroads into these untapped markets. Moreover, with digitization phase III still a year away, this plan should help accelerate acceptance of DTH sector in India," points out the company in a release. Even as Tata Sky is going premium with its 4K services, the new scheme is aimed at smaller cities and towns -- which is a huge untapped market for the DTH service providers. Which application do you used for daily communication? I am not getting points for daily login ? Is Airtel Money worth to use instead of online recharge?